Just because someone is madly typing away on their phone, don’t assume they’re sending an insipid text message instead of being present. 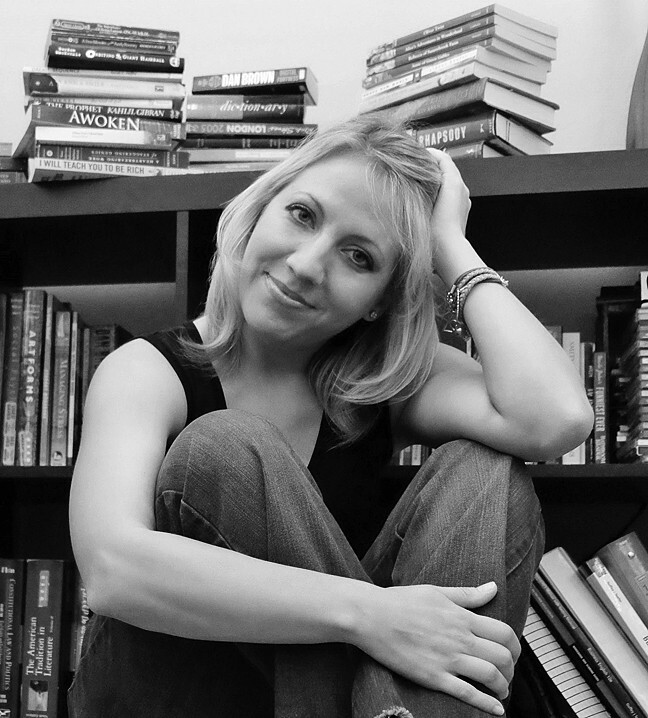 San Luis Obispo based author Sarah Noffke knows she’s that crazy-looking lady typing away on her phone at the gym, but after publishing 12 young adult fantasy novels in the past two years, it’s a sacrifice Noffke is willing to make. After all, one never knows when the creative muse will strike. The prolific author sat down with New Times to talk writing, super powers, and characters hopping into a different series. SO MANY BOOKS, SO LITTLE TIME : Sarah Noffke, a mom and author based in San Luis Obispo, multitasks by writing books on her phone while working out on the treadmill at the gym. 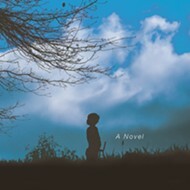 Noffke has written 12 young adult fantasy and sci-fi novels in the past several years. NT: What are your preferred genres to write in? SN: Young adult, sci-fi, and fantasy. As a reader, I don’t want to read contemporary, I want to escape. So I like the idea of getting into these other worlds where anything is possible, and young adults, they have a lot of potential, there’s just a lot of possibilities. And I love the idea of people with super powers and really exploring that. When you get into contemporary literature, it really becomes about relationships, which is fine, but kind of boring if you can’t levitate. NT: You’ve written 12 novels. What was the first book that started it all? SN: The first series is The Lucidites, which starts with Awoken. There are three other series, and all of the series take place in the same universe. Awoken is about a teenage girl named Roya and she is having strange dreams. She has premonitions; she’s really confused. These people come in and say, “We want to explain who you are,” and so she learns that she’s a dream traveler, and they can use their dreams to go anywhere. It’s sort of an out-of-body experience. There’s a really nightmarish man who has been pretty much siphoning consciousness through dreams and she’s been elected to face him. 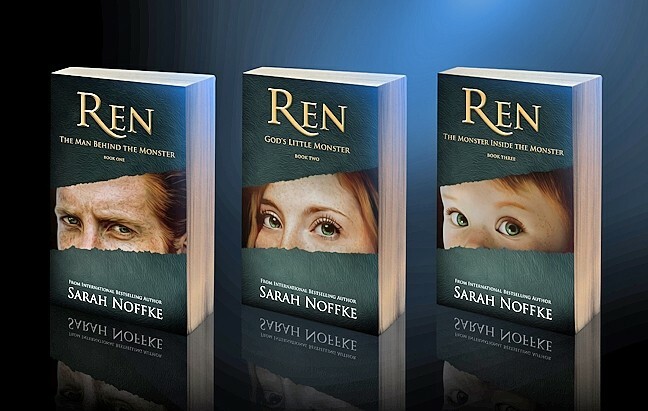 BELOW THE SURFACE: Sarah Noffke first wrote Ren as a side character in her Lucidites series, but he became so popular among fans that she wrote him his own book, which turned into three. NT: Can you tell me a little bit about your newest book? SN: So the Ren series follows Ren, who is actually in nine of my other books. He shows up first in the Lucidites series and he just became this fan favorite. He was just this side character, but people really enjoyed him. He’s British. He’s got red hair and monster green eyes. He has mind control and can hypnotize people. He’s one of those guys that will give you life-saving advice while criticizing you. 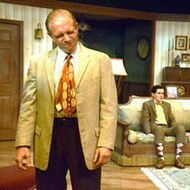 He’s very abusive; he’s very snarky. Some fans approached me, wanting to know about his backstory, so I originally wrote Ren: The Man Behind The Monster as a stand-alone. But Ren is a really easy character for me to write; you just take the censor off. 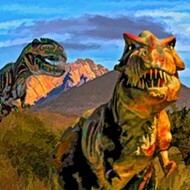 I just finished the third book in the series, Ren: The Monster Inside The Monster, which comes out in July. NT: How does your writing process work? SN: It’s evolved and changed over the years. I have a daughter and I started writing when she was an infant, so I would write at night or when she would take naps. She doesn’t nap anymore, so I actually write on the treadmill. I go to the gym, and I’m really wacky looking, and I write on my phone. I get on a stationary bike sometimes too. So my revision process has gotten quite a bit longer, because writing that way is sloppy. I go to the gym every single day, I have childcare there, and I get a lot of writing done. It just works. On average, I spend six weeks writing a first draft of a book, and the revision process is another two to three weeks. NT: What are some of your favorite authors and books? SN: Presently I love Cassandra Clare. She wrote the Infernal Devices series. She’s amazing. The person that started it for me was Phillip Pullman. He wrote the His Dark Materials books. I’ve read all of his books. He just has a way of writing for young adults that’s not just dumbing it down. He talks about physics and other dimensions, and it’s so smart. A WHOLE NEW WORLD: All 12 of Sarah Noffke’s books, which span four different series, are available for purchase on Amazon. Her latest book, Ren: The Monster Inside The Monster, comes out in July. 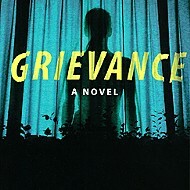 Visit sarahnoffke.com for more on her young adult novels. NT: What’s your favorite thing about living in San Luis Obispo? SN: I’ve only lived here a year and a few months, but I love that it’s so peaceful and you can go and do so many things. And the people are really down to earth. I just love how casual it is up here. It’s definitely good for a writer’s lifestyle. Ryah Cooley is actually a witch at rcooley@newtimeslso.com.